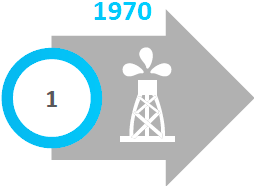 Building oil production capacity totalling 1.20 MMT per year. Start of trial production: Q4 2018. Actively drilling wells at the field to ensure the well count as provided for by the project. Ramping up to plateau production. Expansion of production capacity to 1.5 MMTA and production ramp-up through the development of Yuzhno-Syuldyukarsky License Area and other license areas of Eastsib Holding group of companies. 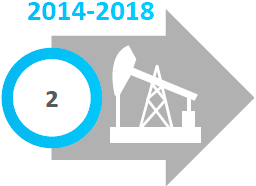 Production drilling of horizontal wells started in 2015. Drilling of wells at the field is scheduled until 2022. 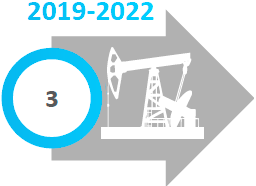 Implementation of the APG treatment and monetisation program, including independent power generation and infrastructure development for crude oil associated gas treatment, transportation, and delivery to the Power of Siberia gas pipeline system. Estimation of ground water reserves at the Charo-Metegero-Ichersky carbonate sequence and estimation of the field production capacity. Water will be used by the reservoir pressure maintenance (RPM) system. Design and construction of water intake facilities at open water sources. Concept development for production and marketing of natural gas at Yuzhno-Syuldyukarsky License Area and the adjacent license areas of Eastsib Holding group of companies.